On Wednesday the EPA and the Army Corps of Engineers finalized the Clean Water Rule, which includes amendments to the Clean Water Act. The primary focus for this rule is on streams and wetlands that flow into larger bodies of water. While the changes ensure that the EPA is able to regulate the polluting of upstream wetlands and tributaries (which is good news for our nation’s waters), I wonder just how big of an impact this Rule will have locally, specifically on the Chesapeake Bay watershed. Initially proposed last summer, the purpose of the Clean Water Rule is to provide clarification and greater definition to parts of the Clean Water Act that are hard to understand. While there was a lot of pushback from developers and agricultural interest groups, the Clean Water Rule did not create new permitting requirements, nor did it get rid of any standing exemptions or exclusions. In fact, the Rule reinforces the protection of upland streams and wetlands, which feed into larger streams, rivers, and estuaries. According to the EPA, “The rule protects waters that are next to rivers and lakes and their tributaries.” The water quality of these larger bodies of water relies on healthy upstream tributaries and wetlands. While the Clean Water Rule does not change pre-existing regulations under the Clean Water Act, it provides clearer definitions, ensuring that certain waters of the U.S. (ie, upland streams and wetlands) are not overlooked, and are held to the same pollution permitting regulations and restrictions as downstream bodies of water. 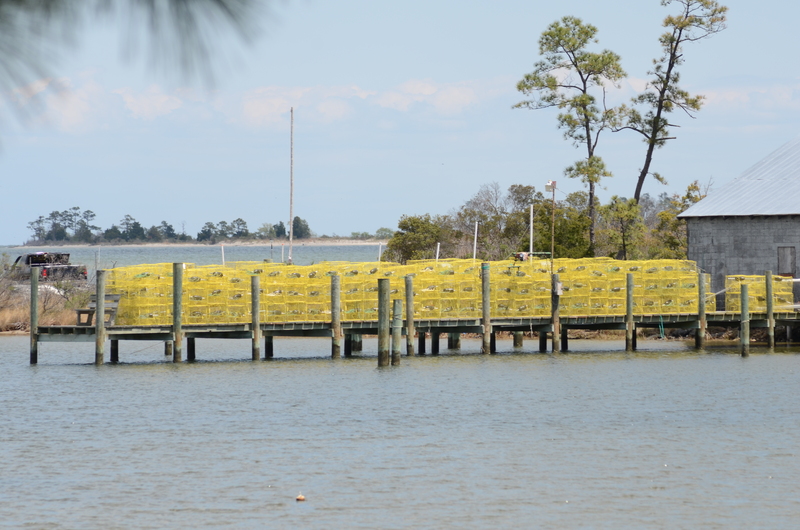 Looking at the Rule from a local lens, the Clean Water Act amendments will benefit the Chesapeake Bay in areas where industrial pollution is more prevalent. The Rule will likely be able to help the EPA better regulate and protect upland streams and Bay tributaries where point source polluting is taking place. The Bay watershed extends into six states, and the District of Columbia, covering 64,000 square miles. Thousands of streams and acres of wetlands run into the larger rivers that feed directly into the Chesapeake. Ensuring that these streams and wetlands are subject to the same regulations under the Clean Water Act that larger bodies of water face, will ultimately ensure that waters flowing into the Chesapeake Bay are cleaner, making the mainstem of the Bay healthier. However, the Clean Water Rule keeps in place a number of exemptions for agricultural groups. The Bay’s water quality issues stem from sedimentation and nitrogen and phosphorus runoff. The source contributing the majority of these pollutants is agriculture, whose actors are largely exempt from regulations and restrictions associated with the Clean Water Rule. While the Rule may do some good for our watershed, we will have to see how much an impact it will make in the long-run on improving the health of the mainstem of the Chesapeake Bay. I think the Watershed Implementation Plans, which the EPA has helped the individual watershed states develop, will ultimately have more of an impact on the Bay, if implemented effectively. Part VI of the paper includes our final chapter on Maryland’s Phosphorus Management Tool (PMT), as well as the references and appendix for the entire paper. Chapter V provides an overview of phosphorus regulations in Maryland. Interesting article in today’s Washington Post about a husband-and-wife led scientific team in Maryland experimenting with ways to clean up the tributaries of the Chesapeake Bay. You can find the third part of our Phosphorus in the Chesapeake paper below. This section deals with nutrient pollution in the Chesapeake Bay- its sources and impact on the watershed. For a full version of the paper, please email 4daleyk@gmail.com, and I will provide you with a copy. Thanks for reading! In spite of two bad years for crabbing in the Bay, our neighbor in White Stone is optimistic at the start of a new season. The picture shows his 200 pots freshly painted and ready to go last weekend. Usually they are green, but due to some manufacturing problem, the antifouling paint is yellow this year. Hopefully the crabs will find yellow an attractive color. The VMRC has published a press release with a preliminary look at the winter dredge survey results. (http://www.mrc.virginia.gov/VMRC_2015_Crab_WDS_Survey_Results.pdf). And this article in the New York Times (http://www.nytimes.com/2015/05/03/opinion/sunday/manil-suri-mathematicians-and-blue-crabs.html?ref=opinion&_r=0 , registration on nytimes.com required) talks about the mathematical models used to predict the crab population. The article makes the point that these models are often not accurate predictors. The VMRC press release comments that ‘Spawning-age females are the cornerstone of stock rebuilding’. But Virginia’s restrictions on keeping sponge crabs are looser than Maryland’s. VMRC plans a public hearing on the crab regulations for May 26.